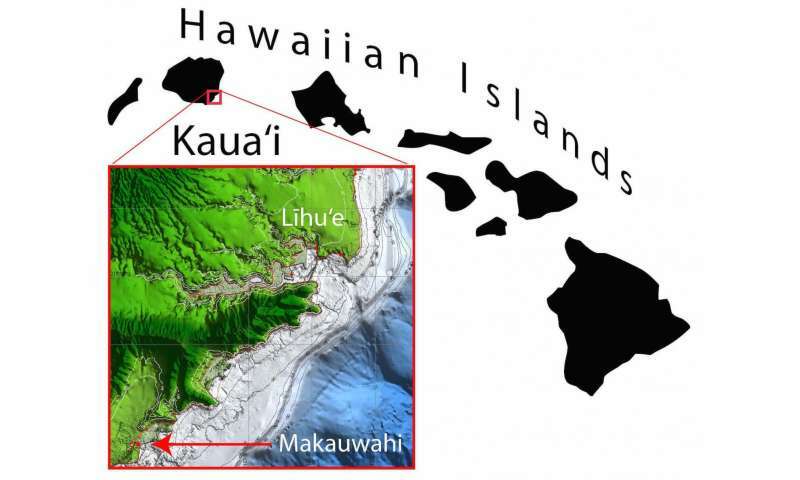 A team of researchers, led by Dr. Rhett Butler, geophysicist at the University of Hawai'i at Mānoa (UHM), re-examined historical evidence around the Pacific and discovered the origin of the tsunami that hit Sanriku, Japan in 1586—a mega-earthquake from the Aleutian Islands that broadly impacted the north Pacific. Until now, this was considered an orphan tsunami, a historical tsunami without an obvious local earthquake source, likely originating far away. Butler and scientists from the National Tropical Botanical Garden, UHM School of Ocean and Earth Science and Technology, and NOAA's Pacific Tsunami Warning Center analyzed material deposited into Makauwahi Cave, Kauai during a tsunami—specifically, coral fragments that were previously dated to approximately the sixteenth century using carbon-14. 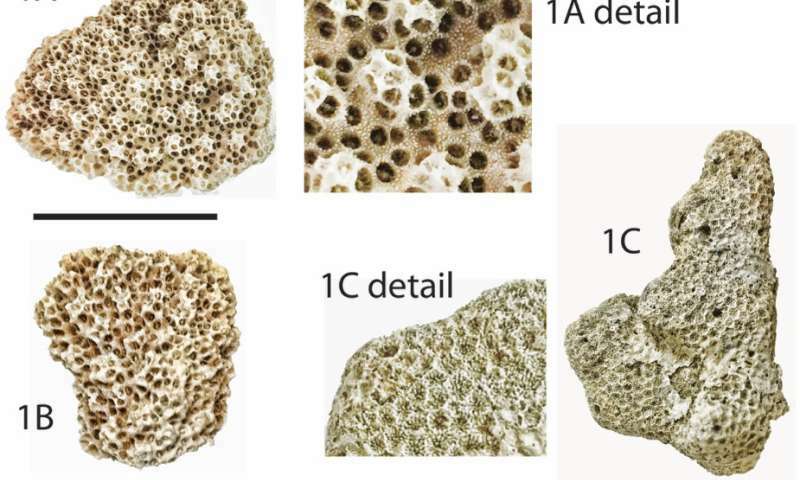 Using specific isotopes of naturally-occurring thorium and uranium in the coral fragments, they determined a very precise age of the tsunami event that washed the coral ashore. Prior carbon-14 dates had an uncertainty of ±120 years, whereas the uranium-thorium date is more precise, 1572±21 years. This increased precision allowed better comparison with dated, known tsunamis and earthquakes throughout the Pacific. "Although we were aware of the 1586 Sanriku tsunami, the age of the Kauai deposit was too uncertain to establish a link," said Butler. "Also, the 1586 Sanriku event had been ascribed to an earthquake in Lima, Peru. After dating the corals, their more precise date matched with that of the Sanriku tsunami." 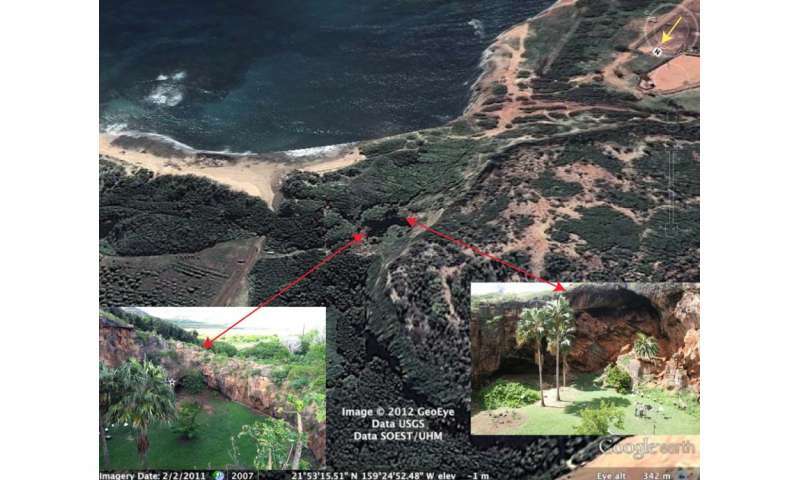 The Makauwahi sinkhole, on the side of a lithified calcareous sand dune, is viewed toward the southeast from an apparent altitude of 342 m. Inset photographs show two of the wall edges, indicating the edges of the sinkhole. The east wall (left) is 7.2 m above mean sea level and about 100 m from the ocean. Note for scale the people in the right image. Credit: R. Butler (left), Gerard Fryer (right), GoogleMaps (background). Further, re-analysis of the Peruvian evidence showed that the 1586 Peruvian earthquake was not large enough to create a measurable tsunami hitting Japan. They found additional corroborative evidence around the Pacific which strengthened the case. Earthquakes from Cascadia, the Alaskan Kodiak region, and Kamchatka were incompatible with the Sanriku data in several ways. However, a mega-earthquake (magnitude greater than 9.25) in the Aleutians was consistent with evidence from Kauai and the northeast coast of Japan. "Hawaii is surrounded by the 'ring of fire' where mega-earthquakes generate great tsunamis impacting our island shores—the 2011 Tohoku Japan is the most recent example," said Butler. "Even though there was no seismic instrumentation in the 16th century, we offer a preponderance of evidence for the occurrence of a magnitude 9 earthquake in the Aleutian Islands. Our knowledge of past events helps us to forecast tsunami effects and thereby enable us to assess this risk for Hawaii." Forecast models of a great Aleutian event inform the development of new maps of extreme tsunami inundation zones for the State of Hawai'i. By linking evidence on Kauai to other sites around the Pacific, we can better understand the Aleutian earthquake that generated the tsunami. Butler and colleagues at UHM are now working to determine how frequently great earthquakes along the Cascadia margin of the Pacific Northwest might occur. These events have the potential to devastate the coasts of Oregon and Washington, and send a dangerous tsunami to Hawai'i's shores.